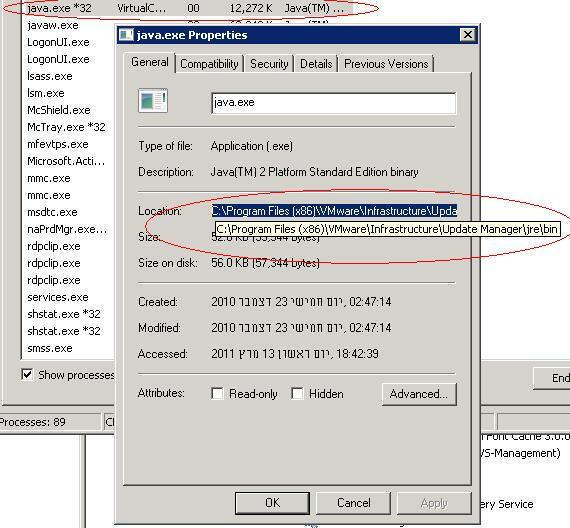 When you try to import an offline bundle and two or more Java processes are running, you might receive the error message Failed to login. 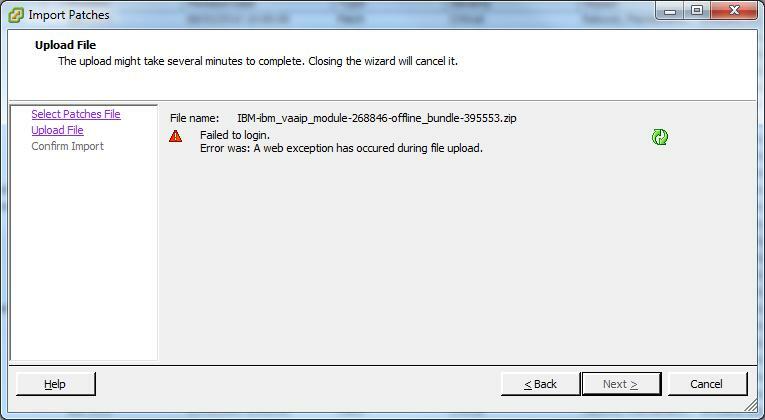 Error was: A web exception has occurred during file upload. This error occurs in a system where vCenter Server and the Update Manager server are installed on the same machine. Workaround: Restart the machine and retry the operation to import an offline bundle. אך הפתרון של ריסטרט לא היה מקובל. המשכתי לחפש ומצאתי פוסט שעזר לי לפתור את הבעיה. מעלים את ה – service חזרה וה – import מצליח. חסך לי השבתה של vCenter. This entry was posted in מהשטח and tagged Troubleshooting, Update Manager by מיכאל מליז'ונק. Bookmark the permalink.